Isn’t it Time for a Coffee Break? In a world where everything is all about me–and only me–where does everyone else fit in? Maybe it’s time for a long overdue coffee break and a deeper look at the Master’s plan for our lives. 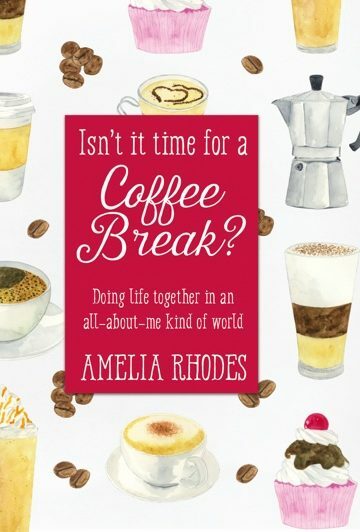 Grab a cup (or two) and discover what it means to “do life together” with this book where you’ll be encouraged to view relationships from a different perspective. Where you experience greater unity. Where you develop a community of creative hospitality. Where you live together generously. This insightful and often humorous look at life will inspire you to walk hand-in-hand with your sisters in Christ. You weren’t meant to walk alone!